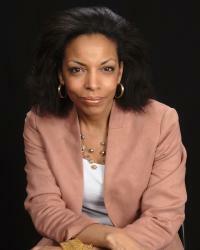 Cynthia Overton is principal research analyst and serves as the dissemination task leader for CTI. In this capacity, she is responsible for developing and implementing the Center’s dissemination plan. While at AIR, Dr. Overton has worked on several projects funded by the U.S. Department of Education, Office of Special Education and Rehabilitative Services that aim to improve outcomes for children and adults with disabilities, including the Center for Technology Implementation, the Model Systems Knowledge Translation Center, the National Center for Technology Implementation, and the Center for Implementing Technology in Education. She has a diverse background, which includes educational technology, assistive technology, special education, school reform, STEM initiatives, knowledge translation, and communications. Dr. Overton has written and spoken nationally and internationally to inform the field on the role of technology in advancing learning outcomes for all students, including those with disabilities. Prior to joining AIR, Dr. Overton worked for Detroit Public Schools and also taught a class to pre-service teachers on educational technology at Eastern Michigan University. She holds a B.A. in English from Hampton University, a M.P.S. in public relations and corporate communications from Georgetown University, M.S. and Ph.D. degrees in educational technology from the University of Michigan, teaching credentials from Eastern Michigan University, and an Assistive Technology Applications Certificate from California State University, Northridge Center on Disabilities.